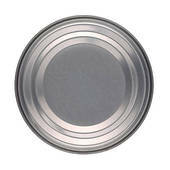 Metal ends (lids) are for sealing open top cans. A can sealer is required to attach lids to the cans. Please note: Ends are available at no additional a cost when purchasing a case of cans.